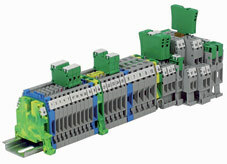 Terminal Blocks - EES Corp.
EES Corp. distribute CABUR Terminal Blocks and Electronic Equipment. CABUR is distinquished for the high quality product and adeqaute market price. With more than 50 years of experience, Cabur develops and realizes, based on its own design, a vast range of products for the electrical industry renowned for their reliability also under extreme conditions. 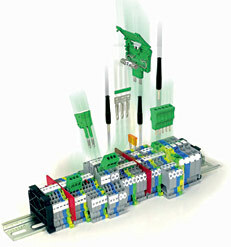 special equipment for the terminals and complete equipment for the fixing and the treatment of the cable.